Some 23% of consumers will give feedback directly to companies following a very good service experience, but 32% will do so following a very bad experience, finds the Temkin Group in newly-released survey results. How companies are able to respond to the bad experiences has a significant effect on consumers’ future spending patterns with them. Indeed, the research indicates that companies have an opportunity to recover from bad experiences and turn them positive. Specifically, consumers who rated companies’ response to their bad service experience as being very poor (1 on a 7-point scale) were far more likely to decrease their spending (62%) than increase it (2%), a fairly obvious result. But among those who rated the companies’ response as very good (7 on the 7-point scale), more increased (29%) than decreased (21%) their spending. It’s not the first time that research has shown that companies can recover from bad service. Last year, research from Bazaarvoice found 7 in 10 survey respondents indicating that a brand’s response to an online consumer review changes their perception of the brand. Moreover, shoppers who read brand responses to negative reviews showed significantly higher product sentiment and intent to purchase. Smartphone owners spend a whopping 3.3 hours per day on their phones, while tablet owners are close behind, averaging 3.1 hours a day on their devices, finds a new survey [download page] from ExactTarget. And while a recent Nielsen study suggests that daily time spent with mobiles is closer to one hour, the researchers indicate that smartphone owners just “can’t seem to put them down.” Here’s some insight into what mobile owners are doing on a day-to-day basis on their devices. According to the ExactTarget survey, respondents indicate that the top daily activities on smartphones are accessing email (91%) and text messaging (90%), while for tablet owners, searching on the internet (70%) and accessing email (69%) are most prevalent. For the most part, both groups tend to use their devices in similar ways. Some notable exceptions that appear to skew towards the smartphone camp are text messaging (of course), accessing email, getting news alerts (62% vs. 52%) and getting directions (24% vs. 14%). Tablet owners, for their part, are more likely to be found watching videos or movies (40% vs. 30%) and reading (57% vs. 43%). Those discrepancies suggest that tablet owners view their devices more as entertainment hubs, while smartphone owners are more likely to use them as information ! sources. To mark the upcoming 25th anniversary of the internet (on March 12), the Pew Research Center’s Internet & American Life Project has released the results of a new survey [pdf] examining internet use in the US. The study finds that among adults, 87% use the internet, email, or access the internet via a mobile device, up a couple of points from a similar study conducted in May last year, which at the time represented a new high point. Internet adoption is not consistent across all demographic groups, though. There’s virtually (pun intended) no disparity in adoption when sorting by gender or by race/ethnicity, with that latter point a significant change from last year’s study, when Hispanics were significant more likely than the general population to be offline (24% vs. 15%). That study did employ a different definition of an internet user for a subset of the sample, though, such that the comparison may not be entirely an apples-to-apples one. In this latest study, age, income and education gaps in adoption continue to be prevalent, however. Internet use is practically ubiquitous at this point among 18-29-year-olds (97%), with the vast majority of respondents in the 30-49 (93%) and 50-64 (88%) brackets also online. There’s a big drop after that, though: only 57% of Americans aged 65 and up report going online. That hasn’t changed from last year’s study, when 56% were online. In many respects, research shows Hispanics to be ahead of the curve in terms of various mobile and online behaviors, ranging from smartphone adoption to online sharing activity and mobile check-ins. Here’s some more data to add to that body of research: according to newly-released survey results from BIA/Kelsey, Hispanics are more likely than non-Hispanics to use mobile devices and various social platforms for local shopping. They’re equally 52% more likely to use tablets (23.6% vs. 15.5%) for these purposes. Don’t sleep on search. According to Monetate’s Q4 e-commerce report [download page], search still vastly outperforms email and social in delivering traffic to e-commerce websites, and its influence may in fact be growing. The study finds that among the sample of clients measured, search accounted for 32.6% of website visits, up from 29.8% a year earlier, and leaps and bounds ahead of both email (2.7%) and social (1.1%). Of course, social’s fractional share has to be put in context; the study measures direct traffic (last-click attribution), which tends to underestimate socials’ influence by a considerable degree. Meanwhile, this latest study provides more evidence that email’s role as an e-commerce traffic driver is diminishing. Indeed, email’s share of e-commerce visits (2.7% in Q4) was down markedly from the year-earlier period (4.4%). Monetate found a similar trend in Q3; because the researchers use a different set of clients each quarter, the exact figures differ from one report to the next, but the same trend being found across at least two reports is instructive. Of course, email shines in other areas. The conversion rate of email traffic in Q4 – 3.84% – outperformed the comparable rates for search (2.23%) and social (0.74%) by a significant margin. 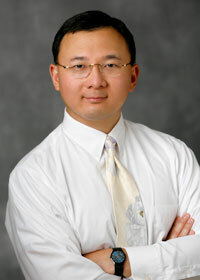 Visitors arriving at e-commerce websites via email al! so had a ! much higher add-to-cart rate than the other camps, while viewing about one more page than search-referred visitors and about twice as many as socially-referred traffic. 87% of American adults now access the internet in some form, says the Pew Research Center’s Internet & American Life project – and some 71% use it on a typical day. Results from the survey [pdf] indicate that the internet has become almost indispensable to many of its users: close to three-quarters say it would be very (53%) or somewhat (20%) hard to give up. By comparison, only 57% of adults feel the same way about their TV. To some, it may be unremarkable that TV is considered less essential than the internet, but that hasn’t always been the case. Back in 2007, for example, adults were as likely to say that it would be very hard to give up TV (43%) as internet users were to feel that way about the web (45%). The year prior, adults found TV more essential (44%) than online adults did the internet (38%). Broadened to the entire adult population, this year’s results indicate that 46% of all American adults would find it very hard to give up the internet. By comparison, the 49% of cell phone owners who say it would be very hard to give up their phone translates to 44% of all adults. Social media? Meh. (According to the survey.) Just 11% of internet users say that it would be very hard to give up social media. Not many more (17%) said it would be somewhat hard. Those results reinforce findings released late last year from Ipsos OTX, in which only one-third of Americans claimed that social me! dia is im! portant to them. Apple’s TV business is more than hobby, nowadays. Speaking at Apple’s shareholders meeting, CEO Tim Cook revealed the company sold $1 billion worth of Apple TVs last year. At $99 each, that’s approximately 10.1 million units. It’s nearly double what Apple did in 2012, according to independent analyst Horace Dediu. 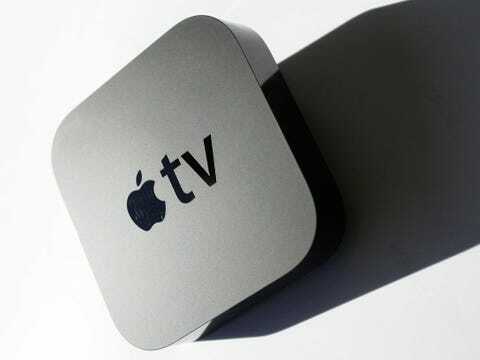 There’s been a spate of reports that Apple is preparing a new version of the Apple TV box. It’s reportedly going to support gaming, and perhaps motion controls like the Xbox Kinect. Apple is also said to be working with Time Warner Cable to get video content running through the TV box. Cook’s comment could be a tip that Apple is developing a new TV product. Before we get too crazy and excited, remember: For Apple, $1 billion is tiny. In fiscal 2013, it did $171 billion in sales. 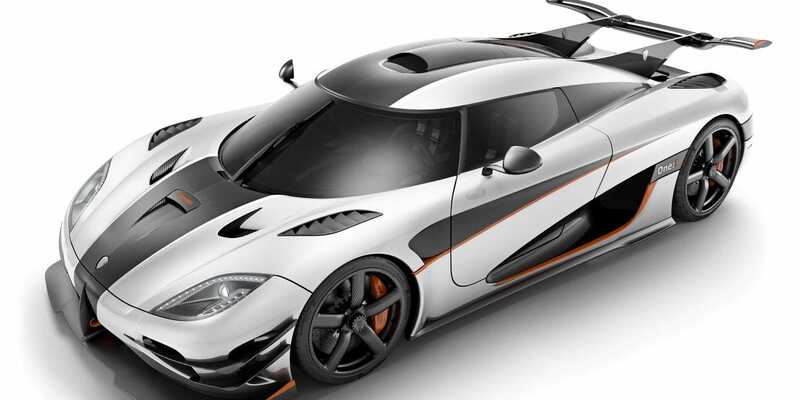 Swedish automaker Koenigsegg has unveiled the One:1, the hypercar it says will be the fastest in the world. 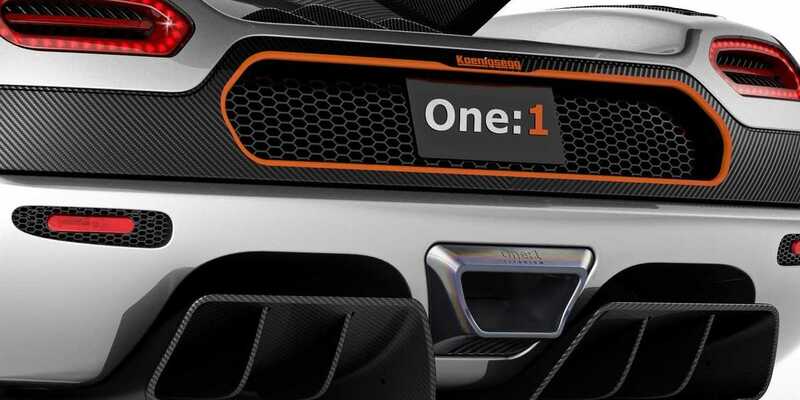 It’s also the first to offer a 1:1 power to weight ratio — one horsepower for every kilogram the car weighs. Part of the trick is an engine that produces over 1,300 horsepower — an awesome feat in itself. The other part is getting the weight of everything else down, which means the chassis, body, and even seats are carbon, made with high modulus fibers that cut weight down even more. But the Swedes didn’t stop there: To save a mere 400 grams (.88 pounds), they 3D print its exhaust end piece from titanium instead of aluminum. Mainstream automakers are just getting to aluminum now, because it’s so much lighter than steel. According to Jalopnik, the exhaust tip is the largest piece of titanium ever 3D printed, and it takes three days to produce. But it saves that little bit of weight, and keeps the supply chain simpler. So it’s worth it.